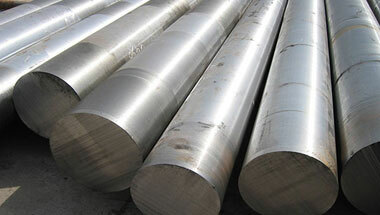 Manufacturer & Exporter of Stainless Steel 316H Round Bars & UNS S31609 Round Rods, SS 316H Bright Bars, Steel 316H Rods, 316H Hexagonal Bar Suppliers in India. We Neon Alloys is one of the leading manufacturers and exporters of high quality of SS 316H Round Bar to our valuable customers. These 316h bars are known for their long lives, excellent quality, optimum performance, economical rates, dimensional accuracy, durability, corrosion resistance and excellent finish. The entire range is manufactured using premium quality raw material and advanced technology. SS 316H Round Bar are regularly tested on different quality standards from time to time. These 316L round bars are appreciated by our clients for their high strength, corrosion resistance and durability. Moreover, we also make sure that our range meets the international quality standards. Also known as UNS S31600 Bars, these 316 Stainless Steel bars are used for several applications such as in Heat exchangers, Condensers, Process engineering, Control lines, Medical implants (including Pins, screws and implants), Umbilical’s, High Performance Liquid Chromatography (HPLC), Semiconductors, and more. Stainless Steel 316H Round Rods Manufacturer, SS 316H Forged Bar, Steel 316H Hex Bar, Stainless 316H Hollow Bar, UNS S31609 Black Bars Supplier in India. Cameroon, Iran, Turkey, Azerbaijan, Egypt, Algeria, Vietnam, Indonesia, Democratic Republic of the Congo, New Zealand, Malaysia, Brazil, Germany, Jordan, Peru, Sudan, Angola, London, Russia, Ghana, Thailand (Bangkok), Houston, Mexico, Israel, Argentina, Australia, Morocco, Kuwait, Italy, United States, Bahrain, Ethiopa, UAE, South Africa, UK, Sri Lanka, Chine, Tunisia, Dubai, Iraq, Kazakhstan, Nigeria, Colombia, Africa, Uganda, Venezuela, Trinidad and Tobago, Mozambique, Canada, Saudi Arabia. Fez, Addis Ababa, Yaoundé, Omdurman, Bulawayo, Kaduna, Soweto, Byblos, Lubumbashi, Giza, Pretoria, Abu Dhabi, Muscat, Zaria, Ouagadougou, Sharm el-Sheikh, New York, Port Elizabeth, Algiers, Kolwezi, Douala, Data from the UN, Kampala, Lagos, Rabat, Cape Town, Accra, Hong Kong, Maputo, Alexandria, Benin, Durban, Colombo, Abidjan, Dammam, Antananarivo, Cairo, Port Harcourt, Casablanca, Amman, Mecca, Riyadh, Cairo, Lusaka, Conakry, Tel Aviv, Beirut, Dakar, Brazzaville, Jerusalem, Bamako, Doha, Luanda, Jeddah, Bethlehem, Tehran, Kano, Maiduguri, Singapore, Mbuji-Mayi, Nairobi, Dubai, Johannesburg, Freetown, Ibadan, Dar es Salaam, Tripoli, Manama, Aqaba, Subra al-Haymah, Istanbul, Harare, Kinshasa, Khartoum, Mogadishu.